Residential Construction – Botts Construction, Inc.
Building a new home can be a stressful experience and an investment of this size deserves careful consideration and the peace of mind that comes with knowing you are dealing with a company that operates with integrity and the skill to make certain the job is being done right. Botts Construction’s superior craftsmanship and attention to detail ensure the creation of a sound investment and a unique home to be enjoyed by children and grandchildren for years to come. If you are considering building a new home or remodeling, we invite you to meet with us. We will discuss your ideas, plans and budget and explain the building process. 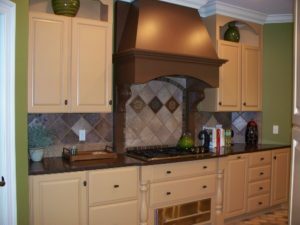 Our remodeling projects are varied and include entire home makeovers, kitchen remodels, finished basements, painting, roofing and exterior improvements. No matter what size the project, one thing will remain the same, our commitment to quality of construction and customer service. With an in-house team of carpenters, electricians and painters, we can easily ensure consistent quality. custom tailgate trailer, fire pit, outdoor kitchens and luxury closets. Repairs and maintenance are a fact of life as a home owner. Our clients know that we will be around to take care of all their needs, regardless of how big or small the project may be. See Photo Gallery of our Residential Projects.